I couldn't be more pleased to announce that I finished a brand new course for The Lodge. It's called Learning jQuery From Scratch and I bet you can guess what it's about. From the absolute basics in the first few minutes of ever using jQuery. Then onto the core fundamentals like selectors, basic methods, and events. Then into Ajax and data land. Then into templating, organization, and plugins. Then finishing with tools, performance, and workflow. And of course little important lessons sprinkled throughout. You can see the complete Table of Contents here. You don't need to be an expert at anything. We start at a very basic level and work our way up. You should have a basic understanding of how HTML and CSS work though. If you don't have that you can always learn them and then come back to this. One reason I'm very happy with the course is how much written material there is. There are 30 videos and basically a blog post for each one that compliments the video. There are code samples, live demos, reference links, and alternate explanations for each video. You get access to this course by joining The Lodge. And as a member, you'll have access to the other courses as well. One is on building a Mobile-First Artist's Website with WordPress, and the other is a comprehensive course on how this very website was built. 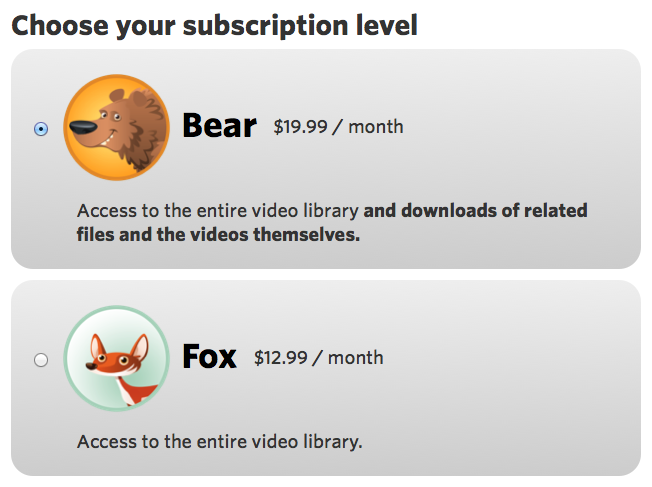 If you choose to go Bear-level, you'll have access to download the videos. The Lodge is about learning, but it can also be about teaching. If you're a teacher, feel free to use Lodge materials to educate students. CodePen Super PRO also has a teaching angle. With Super PRO, one of the many features is Professor Mode, where you can "codecast" in real time to up to 100 students. Because of the shared teaching angle, we've decided to make The Lodge access (at the Bear-level) completely complimentary for Super PRO members on CodePen. If you're already Super PRO, just contact me and I'll get you set up. If you decide to go Super PRO, same, just contact me after and I'll get you set up. That's $20/month in savings - getting $50/month of services for $30/month or basically getting the highest Lodge membership for free. If you used to be a member of The Lodge, or you backed the Kickstarter back when, or you are a member of the forums, you already have a CSS-Tricks account. Log into that before signing up so you can keep your account. If you've never been a member, you can sign up fresh. If you do, thanks very much in advance! It was quite a bit of work putting this course all together and I appreciate the support. Hooray! My new favourite series! This is a Christmas present that has come early! Your drive for teaching others is not only extremely effective but also fun to follow along with. Great work and thank you, Chris! Awesome – I look forward to giving you my money! As said, just my opinion. I disagree. I didn’t, and knowing how excited I got about what I was able to to in jQuery without getting bummed out out cross browser problems and syntax difficulties, I’d recommend starting with jQuery to anyone. That enthusiasm will carry forward as you do more difficult work. This would be awesome. I would love to see what will the advance part of the tutorial be like.